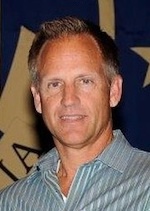 IDW Games is very pleased to announce that gaming industry veteran Kurt Nelson will be joining as Sales Manager. Kurt’s primary role will be sales management for IDW Games as well as for mass-market initiatives such as IDW’s Micro-Comic Fun Pack brand. Kurt will be bringing with him over 16 year of sales management experience in the gaming industry. He has worked directly with some of the largest retailers and distributors both domestically and internationally and managed the distribution of one the most successful trading card games, Yu-Gi-Oh! From Upper Deck to Cryptozoic to GTS, Kurt has been an invaluable asset in the industry. The first title from IDW Games, Kill Shakespeare is available to distributors now, so retailers can expect to hear from Kurt soon!